Sterling silver plain children's expander bracelet. A lovely sterling silver high polished finish expanding child's bangle. This classic design is very popular for christenings, birthdays or any other special occasion. 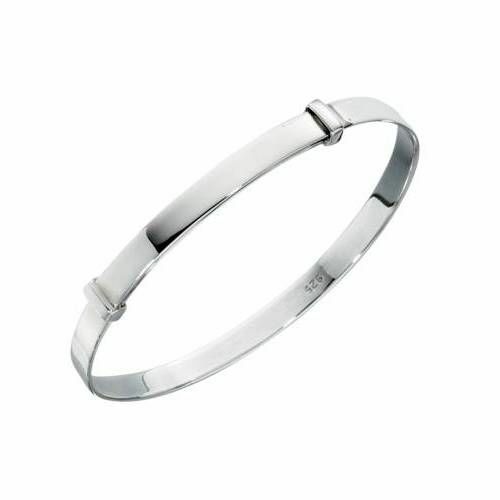 This bangle measures 4mm in width and is adjustable up to 45mm. Due to small parts this bangle is not suitable to be worn by children under 3 years, without adult supervision. Comes complete with beautiful presentation box. Order before 2pm for next day free UK delivery.